During the 50 year anniversary of the independent living movement, Doyle created outreach and safety information for people with disabilities and the communities that serve them. A series of infographics detailed the successes of the movement and educated others on ways they can support community living for people with disabilities. 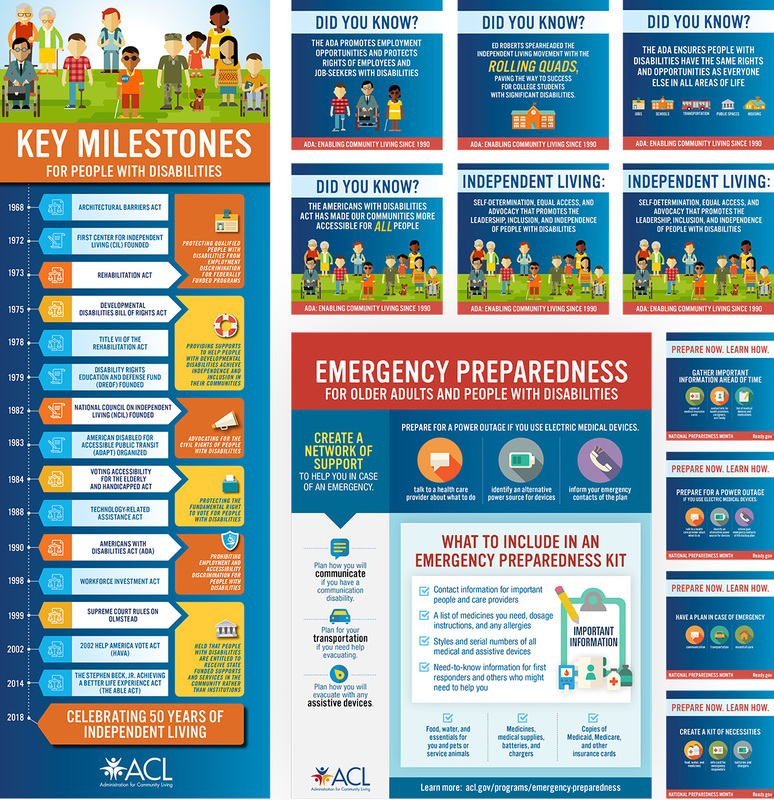 During National Emergency Preparedness Month, information about how people with disabilities can plan ahead for national disasters was disseminated to at risk communities across the nation.